Our hotel in Clovis, California, offers 85 spacious rooms featuring contemporary, vibrant colors, crisp linens, and premium mattresses. We are conveniently located just steps from Historic Old Town Clovis and a few miles from Fresno Yosemite International Airport (FAT), California State University, Save Mart Center, downtown Fresno, the shops at River Park, and Fashion Fair Mall. 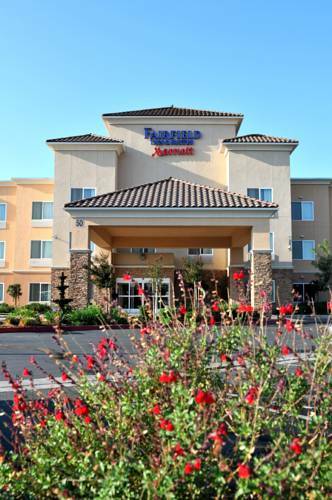 We set ourselves apart from other hotels in Clovis, CA, by making you our #1 priority! We offer desirable amenities such as a complimentary hot breakfast buffet, high-speed wired and wireless Internet access, a fitness center, and an outdoor swimming pool with adjacent whirlpool. Our Clovis hotels location is perfect for guests planning to explore Kings Canyon, Sequoia or Yosemite national parks, and hitting the slopes at Sierra Summit and Squaw Valley. Ask us about the Fairfield 100% Guarantee.